Fran had recommended we stay at Punto Urbano Hostel in the centre of Mendoza, not least because they give you free wine between 7 and 9 each night. That wasn't really on our minds as we got off the night bus at 10am that morning though, as all we really wanted was a shower and a rest. 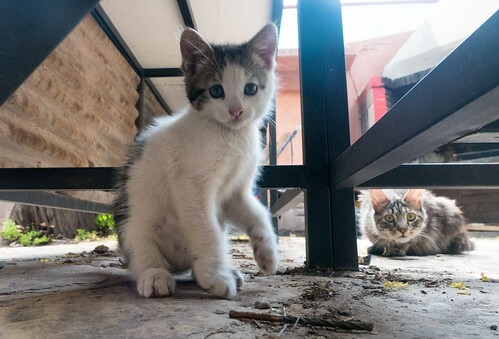 Since we couldn't check in until 12pm, the latter was all we had available so we sat in the sunny courtyard and caught up with blogging, reading and admin, as well as playing with the adorable kitten (and her very protective mother). After getting cleaned up, we took a walk around the area. The hostel was close to most things of interest, so after lunch at the Argentinian equivalent of a greasy spoon, we went to a modern art space set over a couple of floors and wandered around Plaza Independencia. 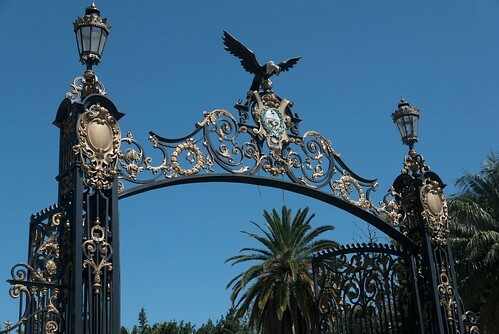 Central Mendoza has four plazas named after different countries (Italy, Chile, etc.) surrounding the main square in a roughly equidistant form, like the number five on a die. It makes it very easy to get your bearings if you get lost! We headed back to the hostel for the BBQ night they were hosting in the evening, which was cooked more than we'd prefer as usual, as well as only providing a solitary bowl of salad for around 16 people. The girls were not impressed, but the wine helped. We found out that it was the birthday of one of the group - Ryan - who was turning 39. 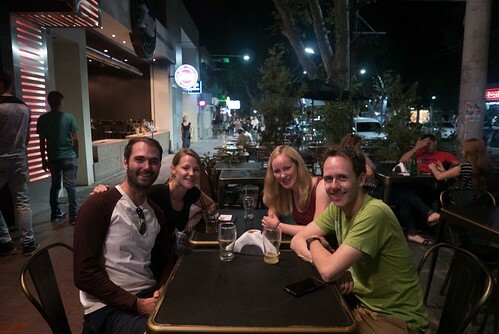 This immediately called for an excursion into town for a few of us (minus Gilly, who was in desperate need of sleep following the bus journey), and we hit the main bar strip named Aristides for some celebratory drinks. By 2am it was only Ryan and I left, and we managed to get back at 3:30am to grab some kip before getting up four and a half hours later. Gilly, Ryan and I were up early because we had decided to do what we came here for - namely, a wine tour. Instead of signing up and paying extortionate hostel prices for an organised shindig, we bussed over to nearby Maipu (pronounced "My-POO"...which never, ever gets old), feeling a little the worse for wear. Gilly was almost certain I wouldn't be up for it that morning. I'm still not entirely sure how I stayed awake the entire day. In Maipi, there is a main road cutting through the centre of one of the main wine-producing regions in the area, and which also has conveniently located bike rental places. 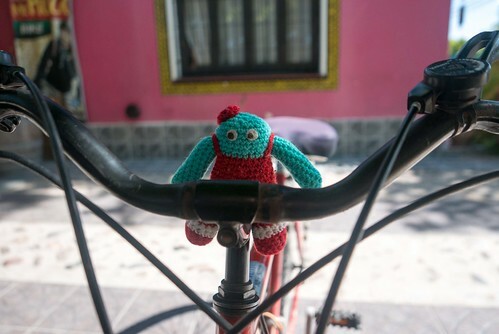 We opted to get bikes from Mr. Hugo, who charged a little more than others but had much better reviews. After picking up our transport, we set off. The last time I'd ridden a bike was in 2012, around Vancouver's Stanley Park. I'm not sure my arse knew what was in store for it. The first bodega we went to was about 3km away - Trapiche. 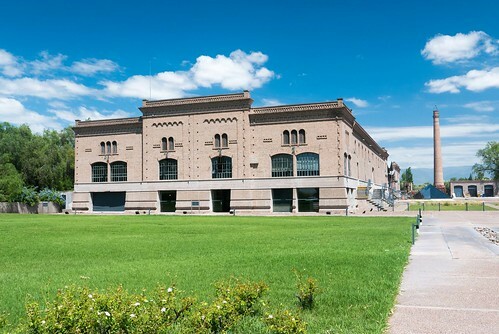 This is a big winery, producing 30 million litres a year in vats that date back to 1912. Our host Andreas introduced us to four wines: an oaky Malbec/Cab Sauv blend, a pure 2013 Gran Reserva Malbec (Fond de Cave - known as Finca Las Palmas in Europe), an exclusive 2012 Malbec called Gran Medalla which only has 15,000 bottles produced per year, and an extra brut espumante 50% blend of chardonnay and pinot noir. The Gran Medalla was my favourite by far, and it was pretty reasonably at around £22 per bottle (compared to £11 for the second wine and £6 for the blend). 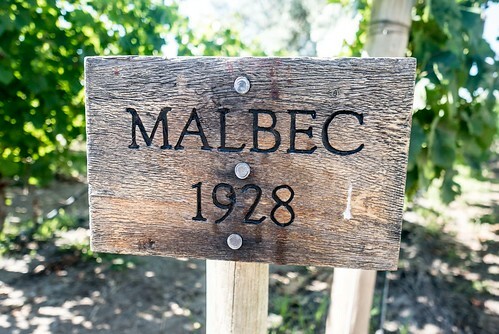 Around 80% of the world's Malbec comes from Argentina, and 80% of the Malbec produced in the country is from Mendoza. 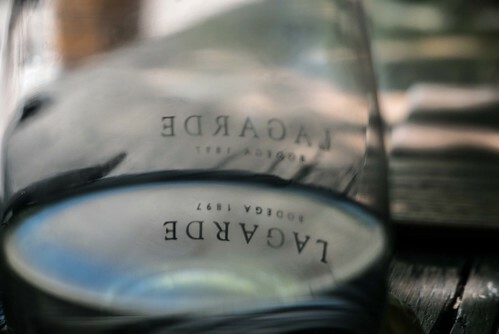 Although it was originally a French grape, the two wines are incomparable - the Argentinian varietal wins hands down, at least to this oenophile. We chatted to Sally and Tom from England who were at Trapiche with us. In a freakish coincidence, Sally is the cousin of a girl that Gilly went to sixth form with. 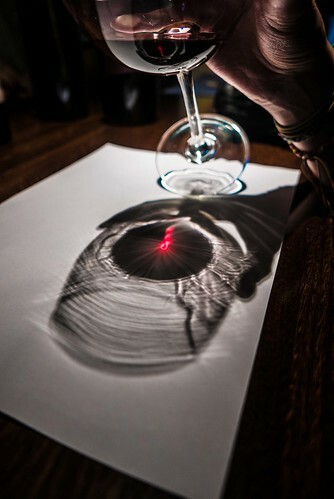 Yet another example of small world phenomena! 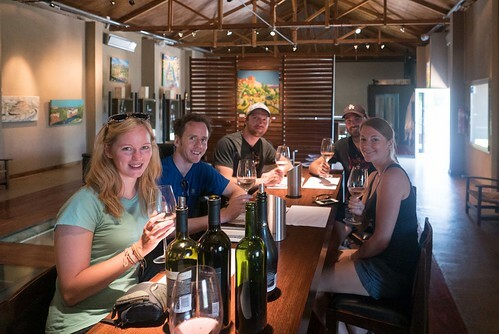 They recommended going to the CarinaE bodega as they'd been the day before and had enjoyed the wines there, so we took their advice. Unfortunately for me, it was a good 6-7km away; Ryan and Gilly were both regular cyclists so this wasn't an issue - for me, my calves didn't know what hit them. The journey felt like it took forever, but somehow I managed to find the bodega and pull into it with sweat dripping down me. 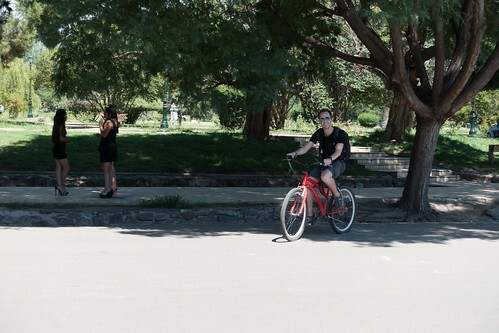 Fortunately, the bodegas in Maipu don't require reservations so are quite happy to have people cycle in for tastings throughout the day. CarinaE's wines were really rather good, and as a boutique winery producing only 100,000 litres per year, they needed to be. 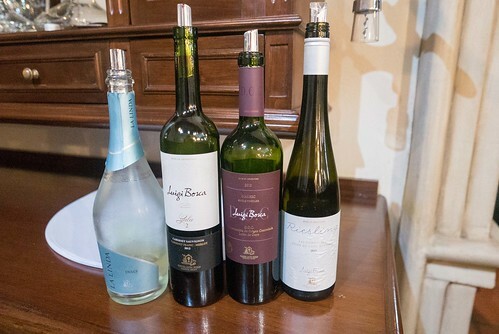 They offered a number of five-glass tasting combinations to suit the palate and budget, and all three of us chose a different selection just to keep the incredibly knowledgeable Buenos Aires lady on her toes. For my part, I started with a Torrontes (because I love it), then had a glass each from their premium Malbec and Syrah range, then followed with their best wine which surprisingly is a blend - the 2008 Prestige Assemblage made with 72% Malbec, 23% cab sauv and 5% Syrah - this combination changes each year, depending on the harvest. To finish was a dessert wine, the Passito de Los Andes. I can't say I'm a fan of super sweet wines, but this wasn't bad at all. Gilly had a selection of five Malbecs including a rosé to start with, which meant we got to taste ten wines between us (well, nine in truth since she ended with the premium I already had). At that point, I'm not sure which of them I liked the most...they were all starting to merge into one. I couldn't name a wine I hated though, which is testament to the bodega. I'll have to look it up when we get back home. 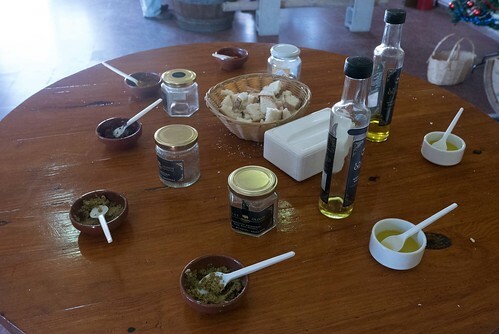 We walked across the road to an olive oil producing place to try some of their wares, but after speaking to the lady at the front desk and explaining why we were there, she ushered us into the shop to await the tastings. Five minutes later, there was no sign of anyone and we were itching to move onto the next winery. Another five minutes passed, so we decided to take our bikes and ride on. This is where things went a little wrong. We were following Ryan who we assumed knew where he was going as he confidently cycled off. Indeed, he probably thought he knew too. Unfortunately, none of us had thought to check any maps - I mean, there was only one main road, right? How hard could it be to get lost? Apparently, not so hard. Instead of going back the way we came, we somehow cycled at a right angle to that road, and after a good twenty minutes of cycling, we pulled over to find ourselves about 5km in the wrong direction. A quick confirmation on MAPS.ME confirmed it - we were miles away from where we should have been. 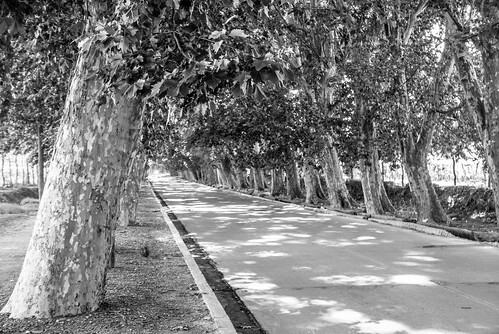 There was nothing for it but to head onto Route 40, a dual carriageway with no shelter from the sun, and cycle all the way back to rejoin the main path through the bodegas which we should have been on. The heat was almost too much, but we'd sensibly brought plenty of water with us. We were clearly lagging behind, and Ryan was feeling queasy so he decided to power on ahead of us to try and get to some shade before things got too much. When we eventually got to the road we should have been on, fortune eventually saw us pass another olive oil shop, so we thankfully stepped out of the heat to try a selection of oils, tapanades, jams, and finally liqueurs. Jam and bread really isn't my thing, but the olive oil with garlic was delicious, as was the chilli olive tapanade. Of the liqueurs, they were all pretty sweet (especially the dulce de leche) and the beer liqueur was downright weird, but the hippocras was good enough for us to buy a small bottle of it. It was only another couple of kilometres back to Mr. Hugo's and we'd written off doing a third bodega since most of them closed at 4pm and our diversion had eaten up a good hour of our time, so we dropped our bikes off, gratefully downed a glass of juice from the eponymous owner, and walked down the road to Casa de Campo which Gilly had spotted whilst scouring for eateries the previous night. 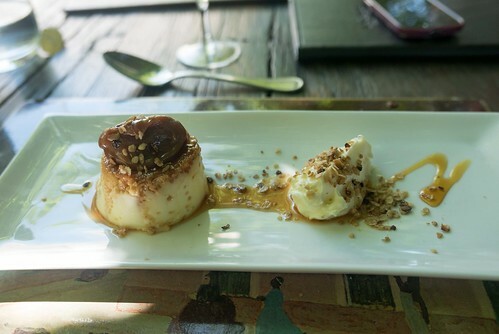 We shared a wonderful meal of empanadas followed by leg steak wrapped in pastry and chocolate orange ice cream to finish. We slept very well that night. A lazy day followed, more out of misfortune than planning. We had originally agreed with Tom and Sally to go with them to the nearby thermal spas that morning. I'm not sure a thermal spa was necessarily a good idea in 33-degree heat but it turns out that the decision was taken out of our hands anyway: when we met them at the bus station, all of the bus tickets were sold out. It seems that the spa is very, very popular with locals in the summer. We arranged to meet them in the evening to commiserate over drinks instead. 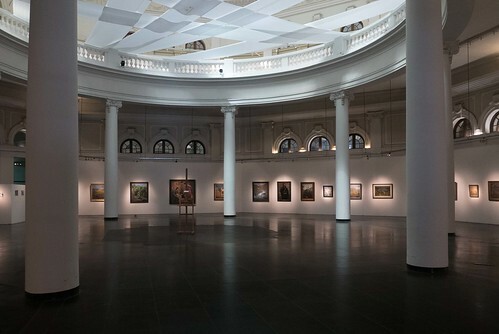 Now with no agenda for the day, we tried to go to the contemporary art museum in the centre of Plaza Independencia, but it was closed for renovation. Cursing our luck, we then tried to find a road filled with dioramas which had been rated highly on Tripadvisor. After arriving on said street and marching up and down for a good ten minutes, we saw nothing. It looks like the dioramas had been removed. Brilliant. My ear was still giving me problems two months after setting off from the UK so I'd vowed to get a third expert opinion when we got to another city, and since there was a ear clinic pretty much on the square, it seemed like as good a time as any. It was private once again, but only cost £12.50 for the consult which included a corticosteroid injection, and a nasal spray to try and help my Eustachian tube. The good news was that I no longer had a perforated ear drum. The bad news was that there was a lot of mucus in my tube which might clear on its own, or might need surgery to poke a hole into the eardrum (yay, another hole!) to drain the fluid. I have to see how things go over the coming months. 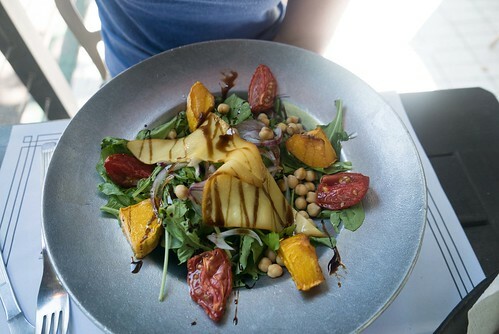 Lunch at Bute provided Gilly with one of the best salads she'd had for ages, whilst dinner at Fuente y Fonda proved a little disappointing in the steak department. We met up with Tom and Sally a bit later and had a few drinks at Jerome Brew Pub. It turns out that we had dodged a bullet with the thermal spa - a few of the guys at our hostel went, and said it was awful - filled with screaming kids and grossly overweight people, and generally not pleasant at all. So much so, that they stayed for a drink before getting the bus back, not wishing to go anywhere near the pools. It sounds like missing the bus that morning was a blessing. 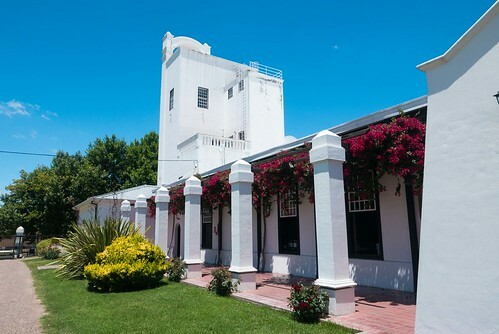 It did mean we had time to plan the following day's wineries though - I had got to work and picked out three in Luján de Cuyo, the second of the three wine-producing regions. These did all need reservations, so after some expert juggling, I got us booked into three within walking distance of each other. After a hastily wolfed down breakfast, we tried to get a bus to the region. We almost didn't make it though. Trying to work out the bus routes around the city using the Omnilineas website is an art unto itself. The G1-16 should have been the next block along, but we saw one going past at 8am just as we arrived, so instead decided to run five blocks away to track down the G1-19. This latter bus took us closer to our final destination, but the extra time to get there negated that somewhat. So, pulling up at 9am for a 9:30 tour with a 30 minute walk ahead of us, we decided to jog a bit and managed to make it just in time. 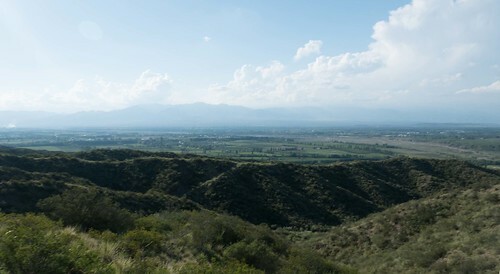 This was the hottest day we'd experienced in Mendoza so far, but by the region's standards, it was still very mild. Summer in Mendoza - which we didn't realise - usually gets to 40° degrees, and has even hit 46°+ in the past. I may have actually melted if we'd been here for that, so we really lucked out with a cooler climate. El Nino had other plans and has seriously messed up the climate. This means the high has been a "mere" mid-30s at its highest, but unfortunately this has caused havoc with the wineries in the region and the harvest this year is going to be an uncertain one. Rob's Wine Tip: don't buy 2016 Mendoza wine. Our first winery was Mendel, though there were no peas in sight, just lovely, lovely wine at 9:30am. Wine-tasting in the morning? Marvellous! 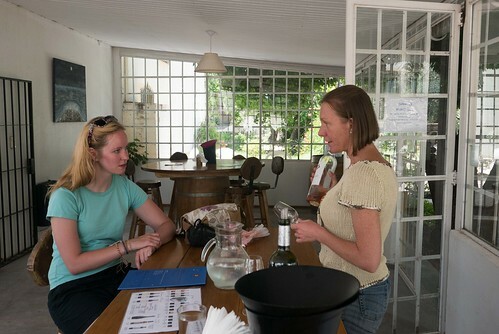 Sylvina, our guide, was passionate and very knowledgeable about the winery. 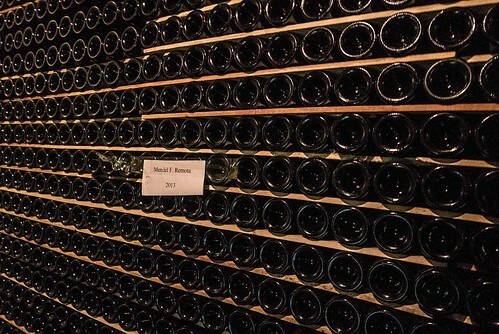 It opened in 2002, though the vineyard itself is almost eighty years old. Everything is hand-picked for the 160,000 bottles they produce, and even the labels are attached by hand to each bottle. The Malbec vines are unusual in that they are pure French root stock; a certain parasite feasts on these in France, which is why French Malbec is a graft of both French and American roots, which the parasite doesn't like. 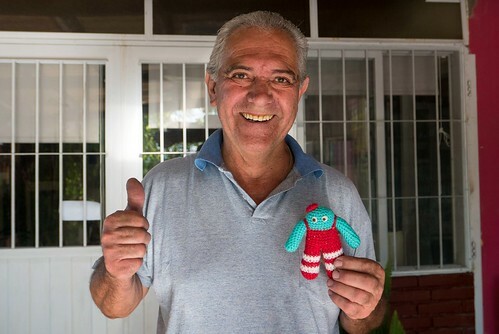 In Mendoza, grafting isn't necessary since the climate eliminates the flies that the parasites change into, and irrigation takes care of the rest. The vineyard is also unusual because they grow olive trees amongst the vines. They do not compete with the vines though, so it's a harmonious pairing. 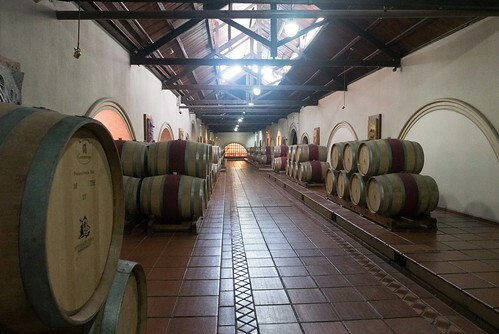 They still have a building made from adobe bricks for sorting their wines and vats, which is fantastically cool inside, and a blessing when the summer heat gets insane. Our tastings included a Uco Valley Malbec from their Finca Remota range, allowing us to get an idea of what we'd missed in that area. It was lovely, and at £34 a bottle, quite rightly so. 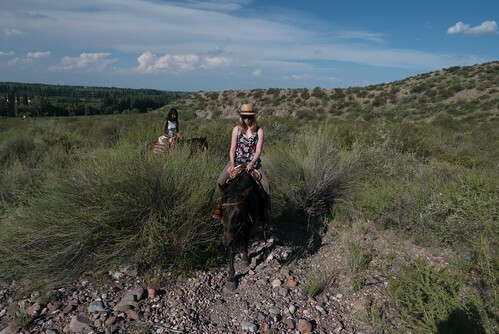 The Uco Valley is the third wine-producing region, which we'd looked into visiting but had ultimately discounted because of a) distance - 100km from Mendoza, b) cost and c) transport - the wineries are all miles from each other, so you need a car to get around. Getting to try a wine from there almost made up for missing out, especially one so good (95 points out of 100 on the Tim Atkin report). We also tried a Torrontes, another less expensive Malbec, and a blend from their Unus range. All of them were fab, especially combined with their excellent olive oil and bread. We couldn't dally too long, since we had another tasting at Luigi Bosca at 12:30. 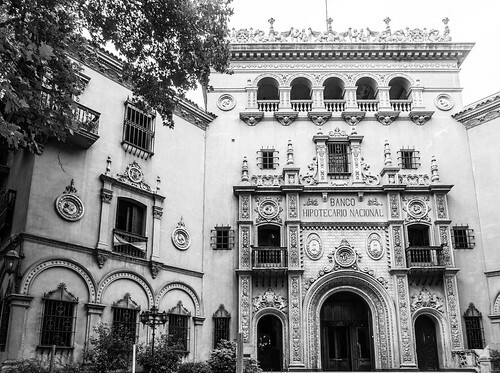 This is one of the oldest wineries in Mendoza, having been opened in 1901 and passed down through four generations of the same family. After a walk through the art gallery portraying the development of the winery through the metaphor of various biblical scenes, and a look at some of the thousands of barrels making up the 6 million bottles of wine they produce each year, we got to the tasting. This time, we were trying something a little different to the usual series of Malbecs. First up was a Riesling which didn't have quite the same level of dryness you get from German counterparts but was still very good. From there we moved onto a DOC (protected region) Malbec, followed by a blend from their second premium line. 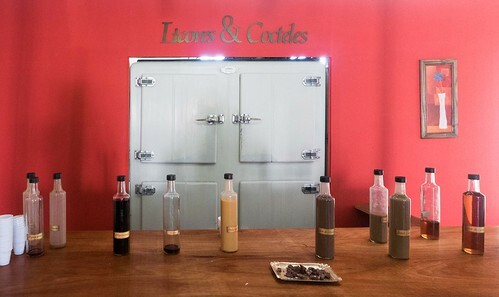 The best line is called Icono and only 3,000 bottles are produced each year - at almost £150 a bottle, you can see why. We didn't get to try this, but a did finish with a brand new sparkling wine which had only been released two weeks previously. Gilly loved it, but sadly Luigi Bosca don't export sparkling wine to the UK so she'll have to make do with prosecco like everyone else. 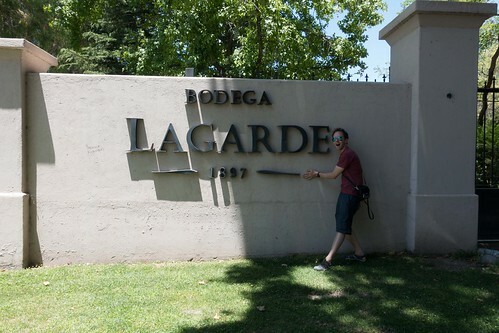 It was almost 2pm now, so we crossed the road and walked the couple of hundred metres to our final bodega: Lagarde. We'd considered doing a tour and lunch here but in truth we were starving and couldn't fit both in, so instead went for a tasting menu paired with wines. There were three- and five-course options, but since the first course was gazpacho which is my ideal of hell ("What? You want to take soup which is already disgusting, and make it COLD?") I was very happy to skip it in favour of baby back ribs (paired with a Malbec), a superb steak (paired with a blend of four varietals), and a flan which was actually edible (paired with a sparkling white). Even though the portions looked small, we were stuffed by the end. Everything was fantastic. I'm starting to get a taste for winery food, which is dangerous for both the wallet and our return to the almost bodega-free UK. I'm not sure which of the two wine regions I preferred. Maipu had some exercise between tastings - possibly too much - but we enjoyed the vineyards. 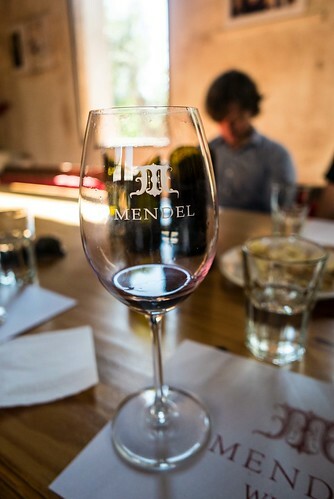 Mendel was possibly my favourite bodega though, offering an excellent tour and a variety of fantastic wine. Uco Valley is going to have to wait until another trip...but we will definitely get there. - See it. Believe it. Achieve it. - Even a broken watch is right twice a day. - There is no-one like you. - I only drink beer on days ending in "y" (given that no days end in "y" in Spanish, I can only assume this is some sort of teetotal propaganda). 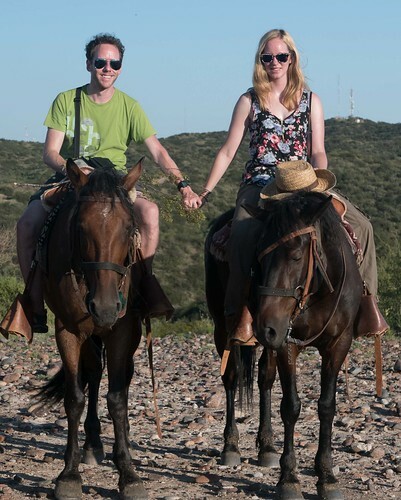 We had been booked in to go horse riding at 5pm with Los Pingos, but when 6pm came and went at the hostel, they called up and found that there was some issue with the driver which meant that the tour was cancelled. A little frustrated, we rearranged it for the same time the following day and then decided to head to a nearby restaurant called Anna Bistro which a few people had recommended. 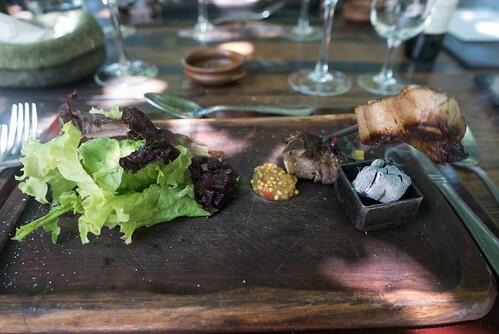 Gilly had one of her favourite salads ever while my rib eye was OK but not a patch on the one we shared in Bariloche. That night we experienced some crazy clattering sounds, like someone throwing rocks onto the courtyard outside. We weren't far out when we looked out of the window: hailstones the size of a child's fist were hammering down onto the concrete. Probably not big enough to kill someone as seen in the climate change documentary The Day After Tomorrow, but big enough to cause damage to cars and the local flora. The hail stripped many trees of their leaves for dozens of blocks around, which makes it clear how damaging they can be to the vineyards. Putting the crazy ice shower behind us, more exercise was the order of the day as we decided to go to the huge San Martin park in the city and try to find some bikes to hire. Mendoza is really good in terms of bike usage, since you can take them for an hour from a number of different points for free. 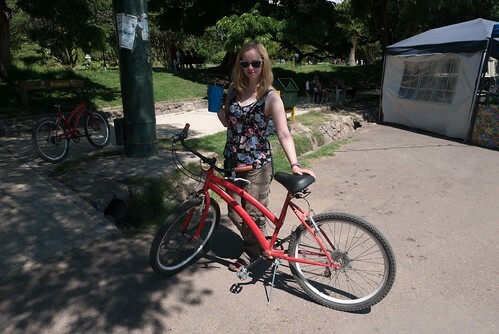 Unfortunately, the park isn't one of those places and we didn't fancy chancing our arm with the Argentinian traffic, so we took a punt on there being an independent bike rental place in the park. There was! Two sweaty hours later, and we were exhausted. The park is insanely huge and it's completely possible to get lost if you haven't got a map. The juice stalls definitely help though; it's advisable to ask for your fresh juice to just have un poco de azucar, otherwise any health benefit you may gain will be wiped out by the four heaped tablespoons of sugar blended in with your mango and strawberries. I'm not sure how the population have any teeth left. After a break back at the hostel we were ready to sit on yet another form of transport for a couple of hours, albeit one that was actually living and had a mind of its own. Carlos at Los Pingos was a fantastic guide. The outfit is essentially a rescue centre for abandoned and abused horses, and some of the scars that these horses have suffered from poor saddle protection, and mistreatment is heartbreaking. Thankfully they have been nursed back to health and are in a much healthier condition than when they arrived. 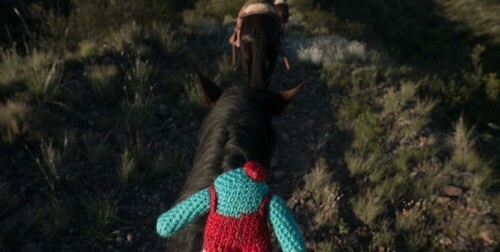 Our companions were Rata and Rossigi, and they faithfully followed the twisting paths into the foothills as the sun set. We were accompanied by Satchi and Suki from California; Satchi had never ridden before and Suki only once, while both Gilly and I have been on horses at least three times. 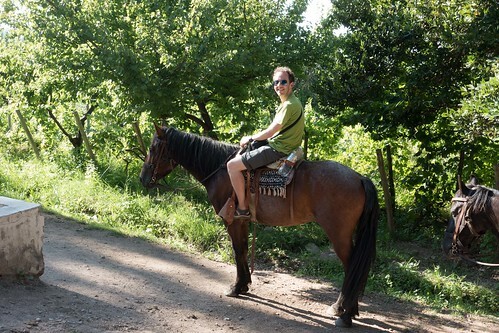 I feel really comfortable on a horse, although I can't recall ever going faster than a trot. That was the case here too, but that was fine with me since a lot of the trails were steep and galloping up them would not have ended well for either me or Rossigi. After trotting all the way to the top of one of the hills, we stopped and Carlos gave us an in-depth overview of the area and its wildlife. Apparently there are a number of venemous snakes in the area, and the two most dangerous ones - the sidewinder and the pit viper are also the most likely to be seen. Similarly there are a couple of nasty spiders here too, including the black widow. We managed to get through the excursion without meeting any of these critters, luckily. Carlos told us we were the fastest group he'd had for months, which was impressive given our relative inexperience. We even had time to go on a longer route than he normally goes on. He said that the previous day (which had apparently not been cancelled, but oversubscribed) had 16 people in the group...I'm glad we didn't actually make it onto that booking as managing that large a group along with wilful horses would have been a logistical nightmare. One of the things you need to do in order to keep control of the horse is prevent them from eating grass and other things along the way. If they think you are a pushover, they'll stubbornly refuse to move until they've grabbed a huge clump of grass - it's their way of testing the balance of power. Rossigi got the hint pretty early on from me, but I did sneakily let him grab a few mouthfuls when we were a few hundred metres away from the ranch on the way back. Then as a treat we gave our horses an apple each which we'd brought along with us, and which were gratefully received. 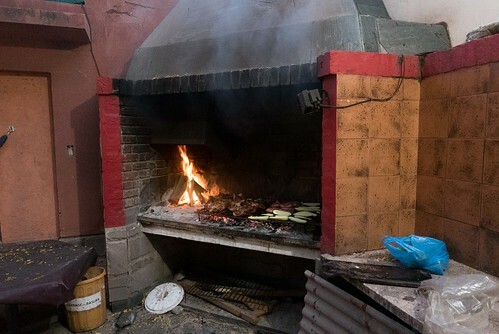 Back in the bodega which Los Pingos uses as its base, we were treated to an assado (cooked to my liking, finally!) which also included some excellent sweetcorn and a huge jug of wine. 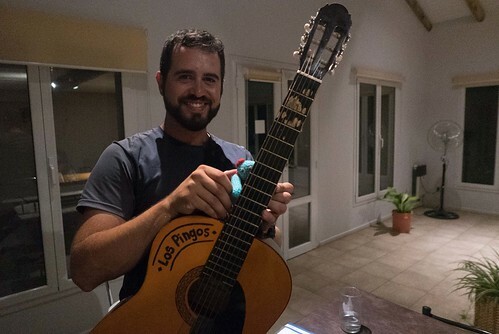 Afterwards, Carlos picked up a guitar and gave us decent renditions of a number of classic songs including Mr. Jones, Creep and Hotel California, before finishing off with a stunning version of the four-chord song made popular by The Axis of Awesome. It was very entertaining, and I imagine with a few more people around the table singing it'd be even more enjoyable. 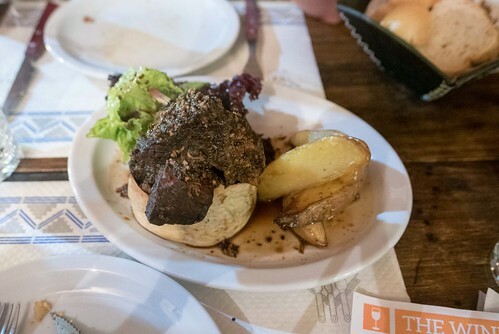 I wouldn't hesitate to recommend Los Pingos; the evening was fantastic and while it isn't super-cheap at almost £40 per person, it is definitely worth doing. It was the end of our time in Argentina. I really enjoyed the country, even more than Brazil, and we'll no doubt be returning in the near future to do southern Patagonia which we didn't have time for on this journey. We'd booked a bus to Santiago for the following day, and had also managed to arrange our second CouchSurfing stay with a chap named Leo not far from the main restaurant district, so we were looking forward to seeing what Chile had to offer.